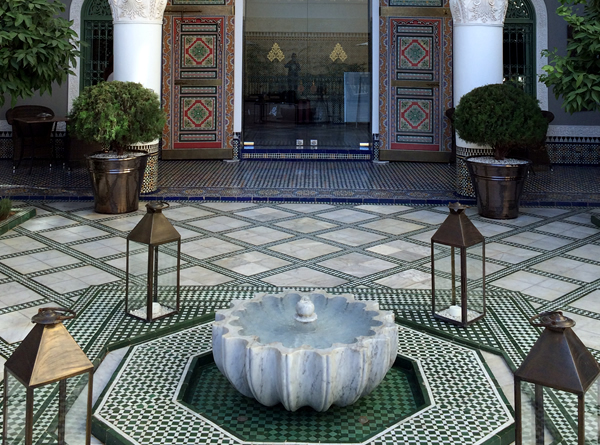 As a former Arab-Moorish palace, Hotel Palais Faraj Suites & Spa stands majestically over the medina of Fes, allowing guests to enjoy some beautiful views of the city from its roof-terrace. 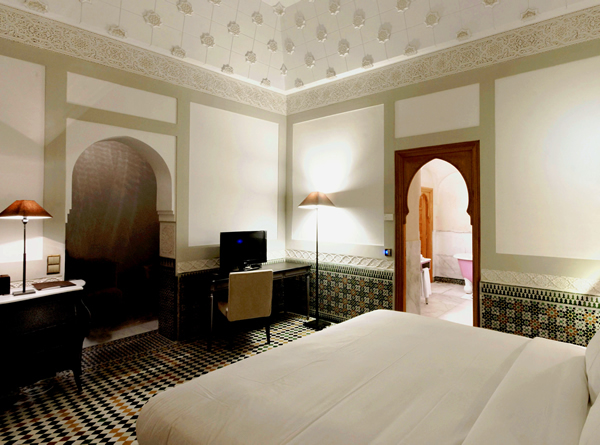 This riad-type hotel has only 25 suites creating an intimate and relaxing setting to enjoy the intricate traditional décor of the hotel and the warm and attentive service of the staff. 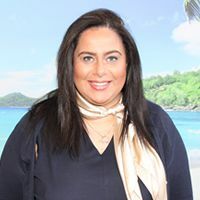 The hotel features an outdoor pool, an Oriental Spa to enjoy a traditional hammam or massage and guests can learn more about the local culture and customs with the cooking, cosmetics and pottery classes. There are 2 restaurants and 2 bars here. 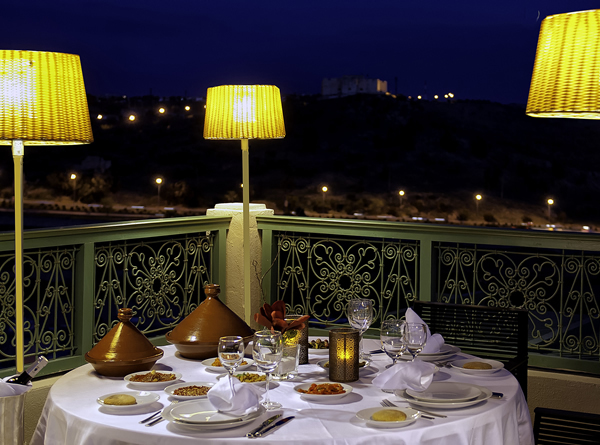 ‘L’Amadier’ restaurant is situated on the roof-terrace offering beautiful views to accompany the rich flavours of Fassi cuisine. 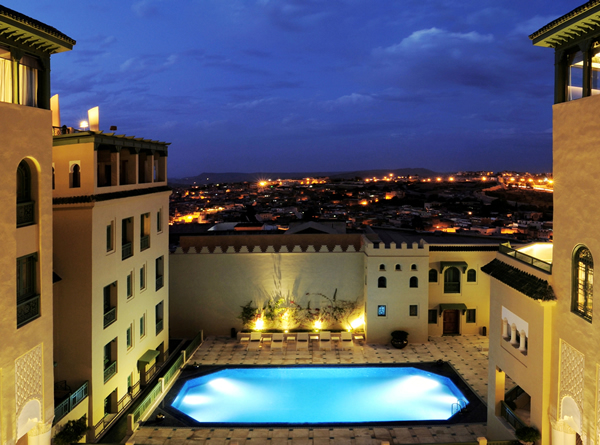 Hotel Palais Faraj Suites & Spa is beautiful boutique hotel serving as a great base for guests to enjoy the delights of Fes.